Delegations can change people’s lives, and Alliance for Global Justice creates the opportunities for those life-changing experiences. Our delegations to Colombia have helped free political prisoner and expose prison conditions and the role of the US Bureau of Prisons in their creation. In Honduras AfGJ delegations have stopped an illegal eviction of a peasant cooperative in Rigores, accompanied cooperatives under threat of violence in the Aguan Valley, and exposed fraud in the presidential election. AfGJ delegations to Nicaragua and Venezuela have exposed participants to successful poverty reduction and participatory democracy projects that have transformed those countries and would transform our own. Nothing promotes peaceful relations more than getting to know the people and culture of another country. Nothing beats witnessing for ourselves the reality of another country to expose the lies of our government and corporate media. Nothing inspires us more to change our own country than to laugh and cry, eat and play, with people who pay the price for the corporate greed and violence created by the US Empire and our own consumerism. Emergency Human Rights Delegation to Honduras! Join us in responding to the urgent call for accompaniment in Honduras! This delegation will focus on the victims of political repression, and on the human rights activists and journalists defending the truth. We will meet with Honduran organizations and the people who are in the frontlines of the resistance. We will gather information and testimonies to hold US and Canadian officials accountable for their role in the human rights crisis increased in Honduras after the 2009 coup and for their support for Juan Orlando Hernández government. After the fraudulent elections of 2017, in which Juan Orlando Hernández was illegally re-elected as president of Honduras, the world has seen thousands of people flee the country in massive caravans; an increase of political repression and violence. Conditions for political prisoners such as Edwin Espinal and Raúl Álvarez are deteriorating and impunity to which the relatives of the victims and the victims of government violence have been subjected continues. The Honduran regime, supported by the governments of the United States and Canada, has targeted journalists, human rights, defenders and activists, who are arrested weekly. In 2019, a broad coalition of Honduran political and religious groups, supported by human rights organizations, indigenous people, farmers, lgbtq community and student organizations, has been created to oppose the continuation of dictatorship. More than ever, international solidarity is necessary to support the Honduran people’s struggle for liberation. 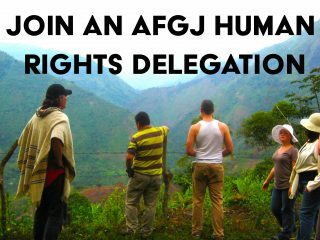 For more info visit https://afgj.org/emergency-human-rights-delegation-to-honduras?eType=EmailBlastContent&eId=2f692bd4-982b-4c20-aa45-eb82311aadc1 or write to eduardo@afgj.org. Join The Campaign to End US and Canada Sanctions on a delegation to Venezuela March 2019. We will learn about the technicalities and illegalities of unilateral financial sanctions, hear about solutions implemented by the Venezuela government, and discover the resiliency of local communities whose stories are often absent from Western mainstream media. 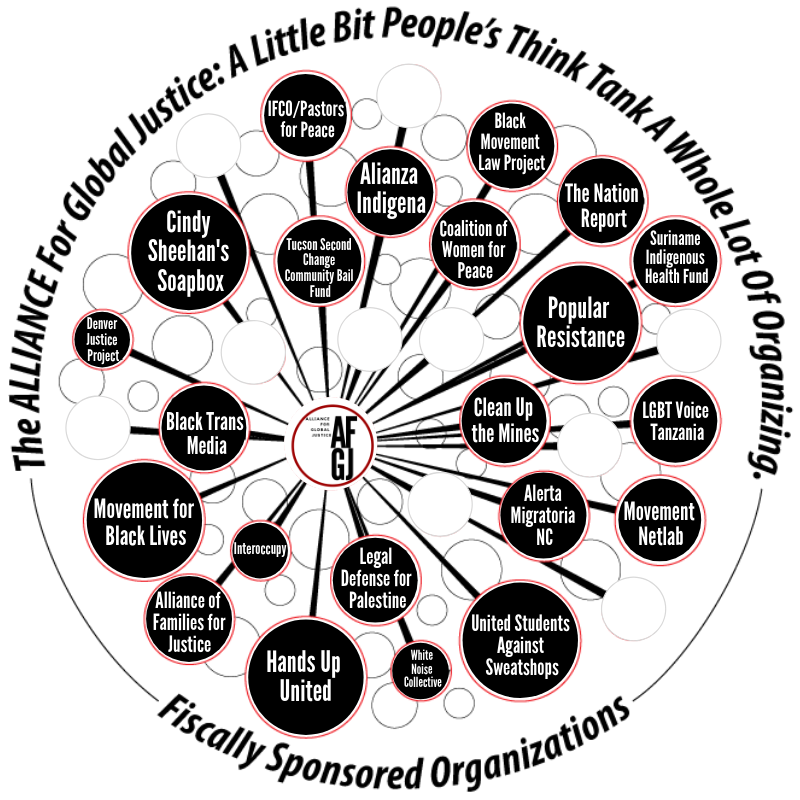 This is an international solidarity delegation with space for 12-15 people. Please note: US citizens require visas to enter Venezuela. The Campaign can assist with the Visa Application process. To learn more about The Campaign and how you can participate visit us on Facebook and our web supported page at Campaign to End US and Canada Sanctions. March 10-20, 2017: Why is the US Building Prisons in Mexico? Sept 29-Oct 5 Colombia: Delegation of Accompaniment: Stand with Peace in Colombia! June 20-July 1 Nicaragua: Food and Sovereignty and Agroeology. Co Sponsored by AFGJ. June 10 – 21st, 2013: Climate Change Delegation to Nicaragua.